I promised in my last post to share my ideas on how fantasy blurbs attract readers. The best way to do this is to take a single blurb and examine it in detail. As I know how I write my own blurbs, I’ll use Renown of the Raithlin as an example. It’s climbed high on Amazon’s Epic Fantasy Bestseller List, so I know the blurb works. A marauding horde. A famed city. A lone man who stands between them. This is often called a tagline. Taglines are more of a crossover from movies than a traditional part of book blurbs, but they’re useful and quickly ground readers in the story – no lead-up or explanation required. The first three words do a lot of work. 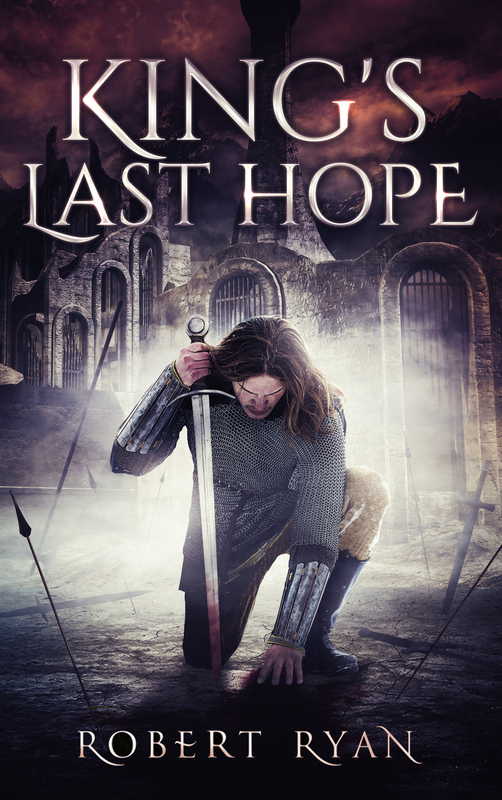 Horde acts as an indicator that this is a fantasy novel of the high, heroic or epic kind. Readers deserve to know as soon as possible what type of book they’re looking at. If it’s not to their taste, they can move on without wasting time. Not only is there a horde, but it’s marauding. This implies action. And not only action, but it lets the reader know who the bad guys are. Nice people don’t maraud . . . This lets the reader know what’s at risk. It’s not an evil city, or a dark city, or a cesspool of a city. Famed implies that it’s large, wealthy and grand. Now we know where the good guys live, and not only that something is in danger, but a very specific something, and all the people who live in it. A lone man who stands between them. Here, we’re introduced to the hero. And we find him in a seemingly impossible fix. The marauding horde is opposed, and although it’s not clear what one man can do to defy and army, it’s apparent that he has a plan of sorts, although it must obviously involve great risk. Fertile soil in which a story can sprout. So, a tagline covers a lot of ground in short order. In fact, it can set up the whole novel – not bad for a few measly words. And they’re right up the top so that a potential reader is either hooked into the rest of the story or can decide straightaway that it’s not for them. Can one man defy an army? Only one of the legendary Raithlin would try. But trying is not succeeding – or even surviving. This second line, again short to aid easy reading, builds on the tagline. It amplifies some of the same information and adds specific details. The lone man is now identified as one of the legendary Raithlin. Who or what they are isn’t clear – but they’re legendary for a reason, so the hero has something going for him, even if he’s outmatched. Lanrik is confident in the time-honored skills of the Raithlin scouts. He tries to slow the army long enough for a warning to reach his home city, unaware that political intrigue, duty and ties of loyalty will test him more than the enemy. Here, we’re introduced to the hero by name. His background and skills are mentioned, and we get an idea of how it might be possible for one man to try to achieve a near impossible task. But just as we learn that, we also discover that the marauding horde isn’t his only problem. The stakes are raised and we realize that Lanrik is in an even greater fix than we thought . . . He enacts a bold plan against overwhelming odds to protect all that he loves. But his choices lead him ever deeper into a life-changing struggle. Dark forces of sorcery and witchcraft are on the move. So too are the powers that contend with them. The conflict draws him into a quest for the safety of the whole land and toward a girl who comes to mean more to him than anything. 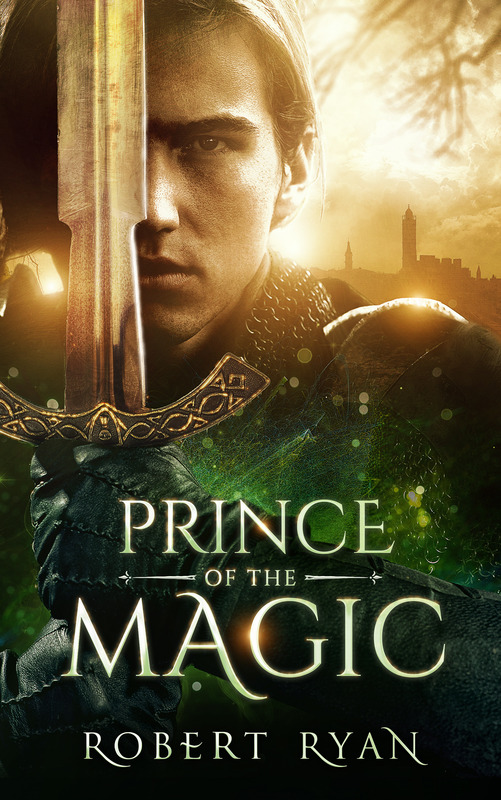 He enters a world of magic: sometimes beautiful, often perilous and always unpredictable. Now, having given the reader a firm grounding in the story, it’s time to really open up about what’s happening. It’s safe to do it here, because if a reader has come this far the story resonates with them. They’re ready for a long and detail-heavy paragraph – the sort that would only have confused and turned them away had it appeared earlier. At the same time as giving details, the stakes are raised still further. It’s no longer just about the city, but the whole land. The blurb, so far plot driven, now enters a character driven phase. The emotional components become clear: protect all that he loves . . . life-changing struggle . . . a girl who comes to mean more to him . . . Above all, blurbs must foreshadow the story. It isn’t possible in a few paragraphs to explain hundreds of pages, and authors shouldn’t try. They need to invoke a feel for the book in the same way that the smell of good food attracts passersby into a restaurant. Anyway, that’s the breakdown of one of my own blurbs. Other authors might do it a little differently, but at heart the recipe that most follow is this: ground the reader, give them a hero to cheer for, pose enticing story questions, add ever-deeper layers of intrigue, constantly raise the stakes, show the emotional impact and, most important of all, foreshadow the feel of the story. Looking at that, it’s no surprise that a good blurb attracts readers, because the recipe for a good blurb is also the recipe for a good book.